ALUMINIUM STEPPED PULLEYS, PILOT BORE READY FOR MACHINING TO SUIT YOUR SHAFT. Pulleys to suit 1/2" inch or 13mm top width belts. Designed to suit Taper Lock bush fixing to shaft. Pulleys to suit 5/8" inch or 16mm top width belts. Designed to suit Taper Lock bush fixing to shaft. Pulleys to suit 3/8" inch or 10mm top width belts. Designed to suit Taper Lock bush fixing to shaft. 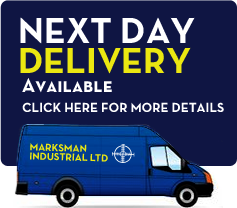 Marksman Industrial are a family run distributor located in Aldershot on the Surrey & Hampshire borders. 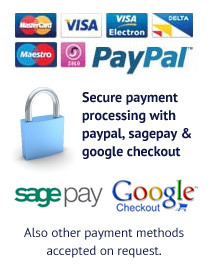 Since 2004 We have been supplying quality bearings & belts, chain, sprockets, pulleys & wheels for many uses including agricultural & waste management machinery, industrial maintenance and production, HVAC fan drives and military/defence contractors. We also have 2 specialist divisions, bikebearings.co.uk for Motorcycle wheel, suspension & steering bearings and mowerbelts.co.uk offering replacement drive belts for garden tractors.